With beading inspired from the 1920’s the Zaylee Beaded Low Back Evening Dress you are sure to be a beauty. With the beaded bodice and sheer cutouts this dress is the perfect gown for your next evening event. 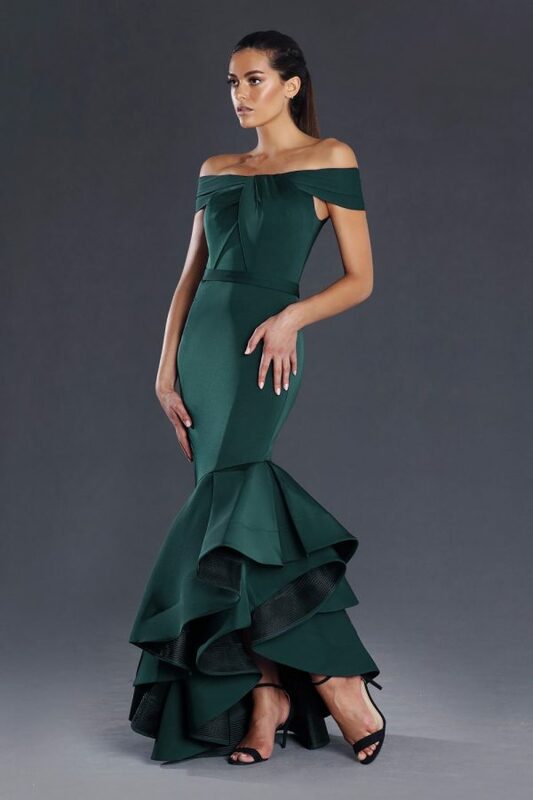 Set the style in the Zaylee beaded low back evening dress, fabricated out of soft slightly stretch luxury matte satin which gives the skirt a beautiful drape, slightly fitted at upper hip cascading down into a slinky skirt split.